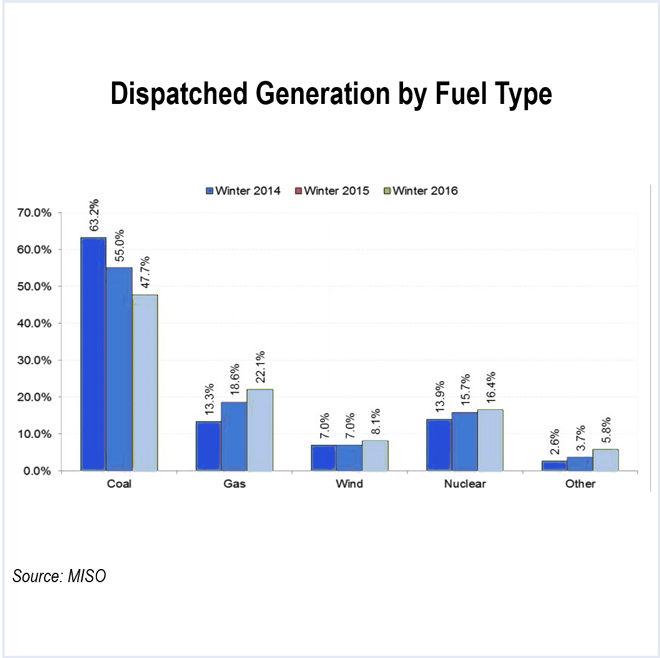 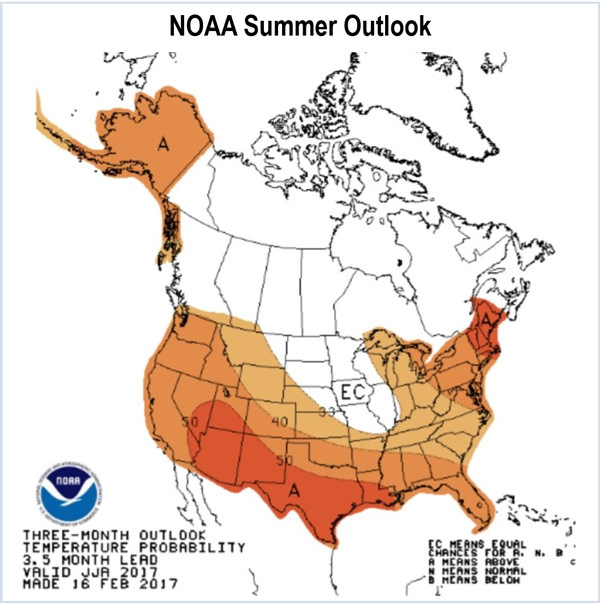 MISO experienced a quiet winter, aside from early February tornadoes in Louisiana and high congestion charges from a MISO-PJM constraint. 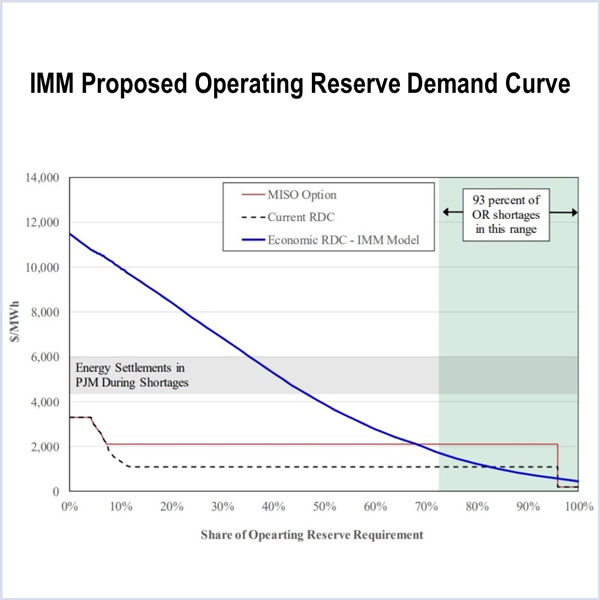 MISO expects a 19.2% planning reserve margin this summer, well above its 15.8% requirement, and a percentage point above its projection last year. 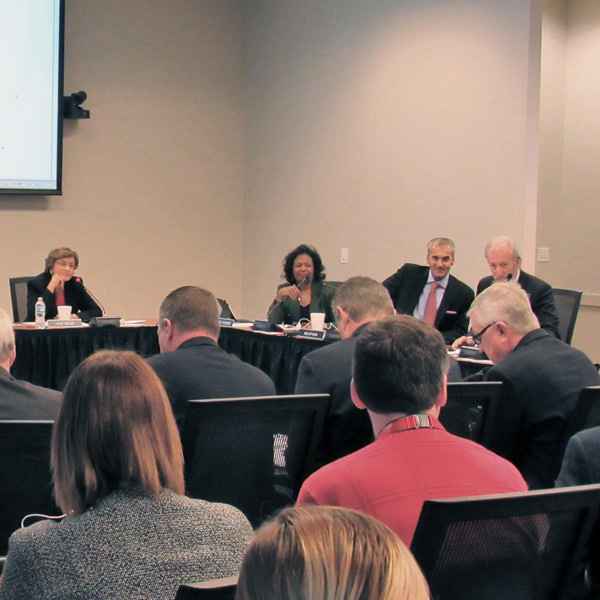 The MISO board’s Markets Committee discussed the RTO’s forward capacity auction and queue reform proposals. 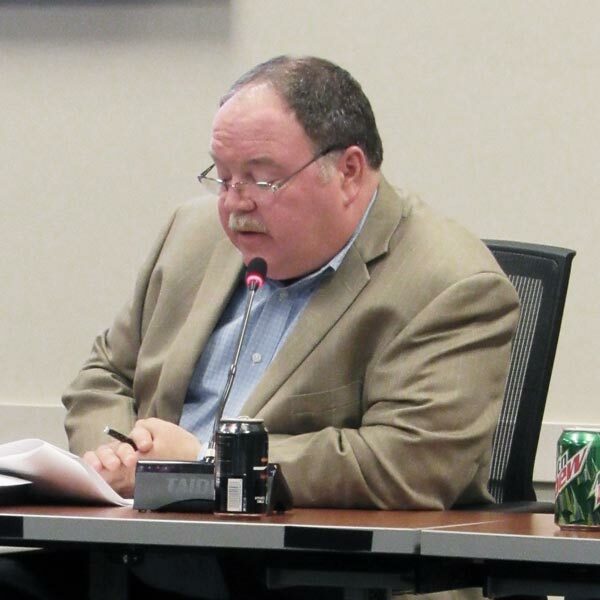 MISO Independent Market Monitor David Patton presented a draft of his quarterly report to the Markets Committee of the Board of Directors. 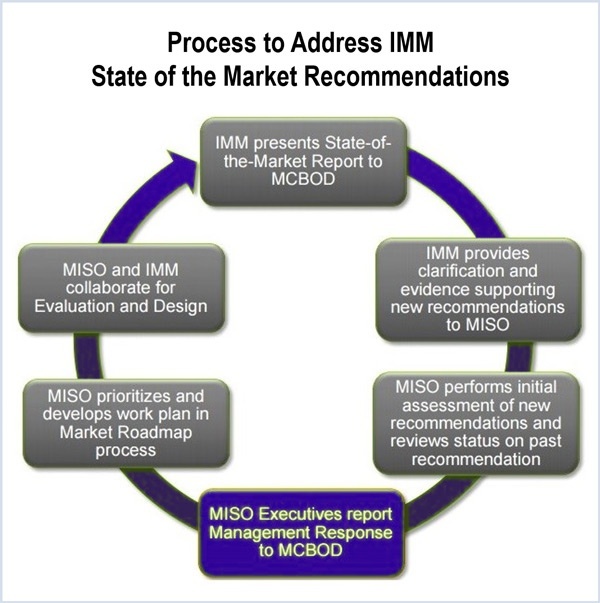 MISO said it generally agrees with the recommendations its Independent Marker Monitor laid out in its 2015 State of the Market report, but the RTO won’t implement a few recommendations and wants additional analysis on some others. 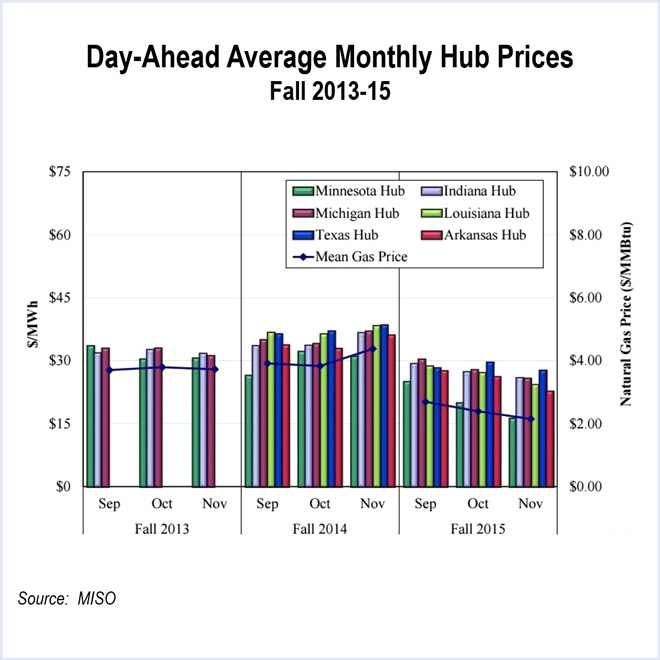 MISO predicts it will have double its required winter reserve margin, due in part to increased north-south transfer capacity and improved emergency pricing. 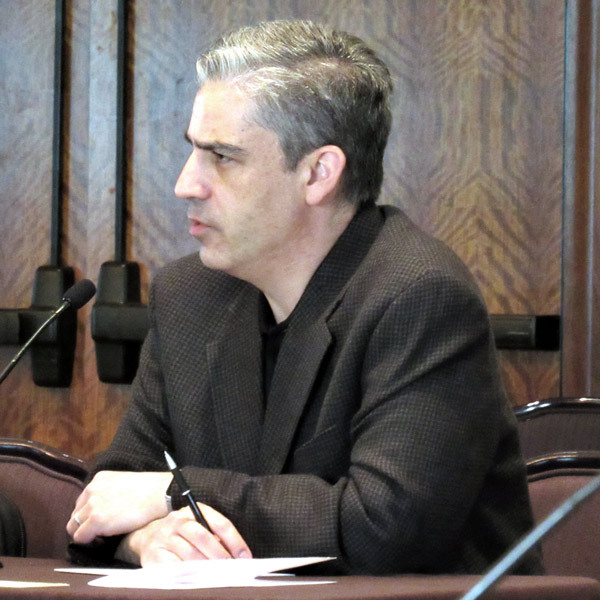 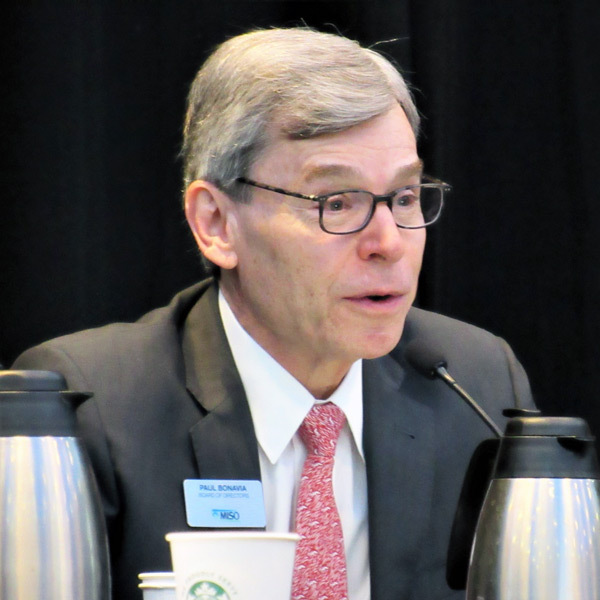 MISO membership voting results confirmed three new Board of Directors members, while the RTO posted a first draft of its short-term incentive plan for stakeholder review. 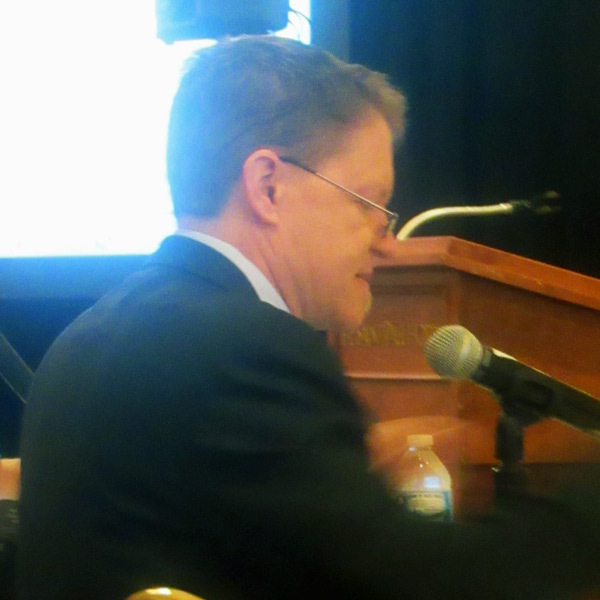 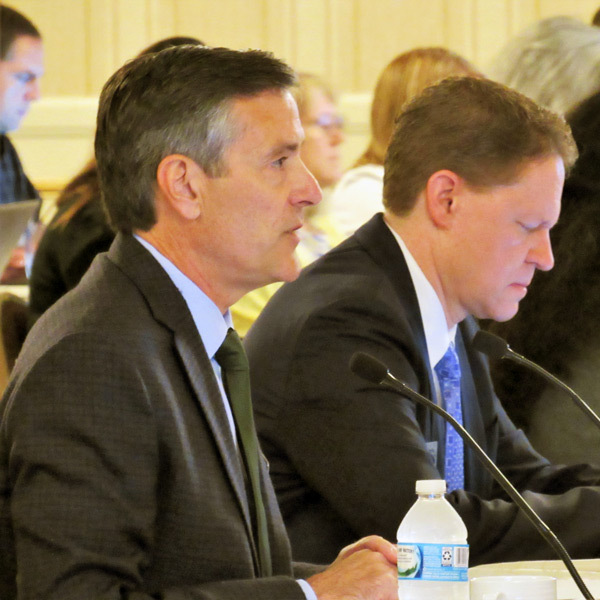 MISO’s forward capacity auction proposal was approved by the Board of Directors’ Markets Committee, setting up a FERC filing expected in three weeks. 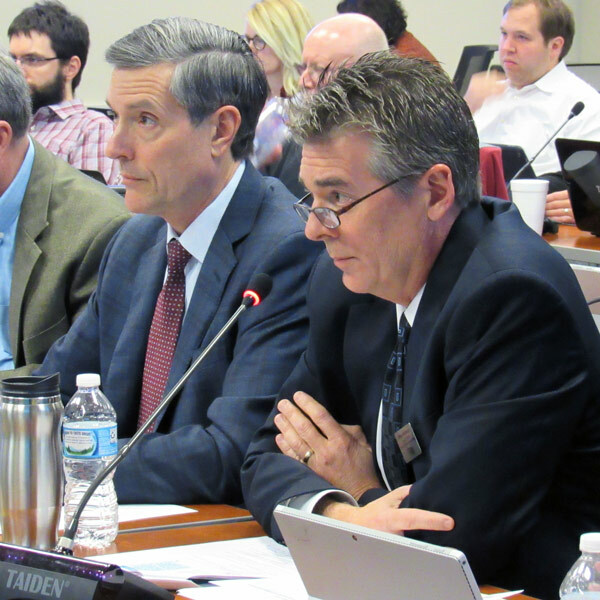 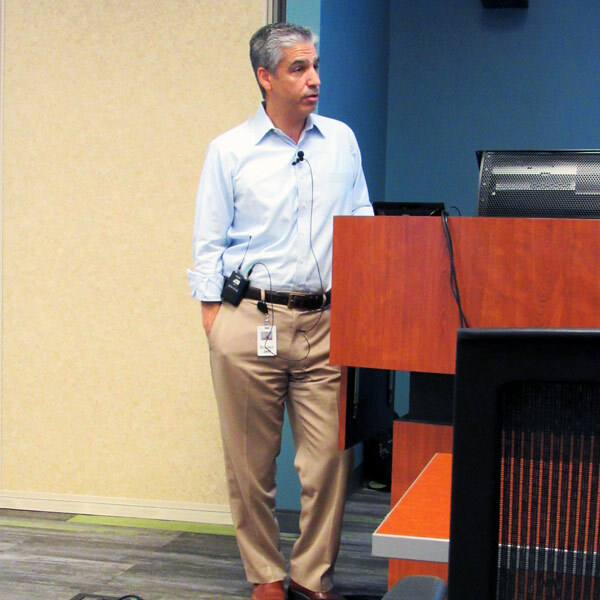 MISO released a five-year operations business plan last week that calls for new products, technology upgrades and a better-trained workforce. 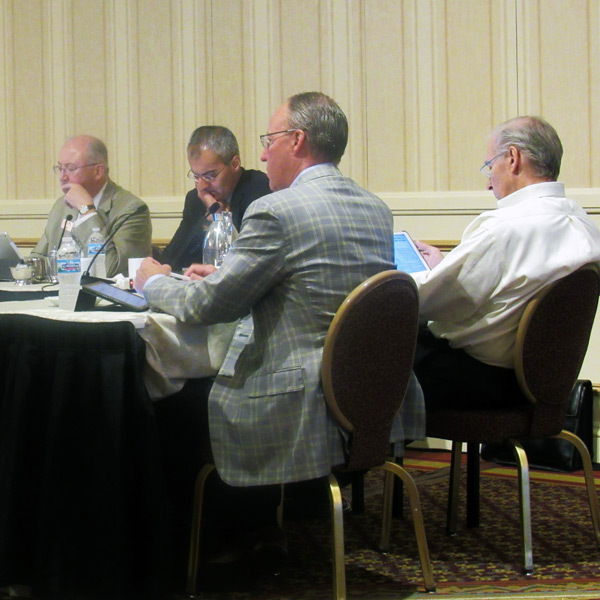 With the spring season underway, the MISO Markets Committee of the Board of Directors reviewed this past winter and the upcoming summer. 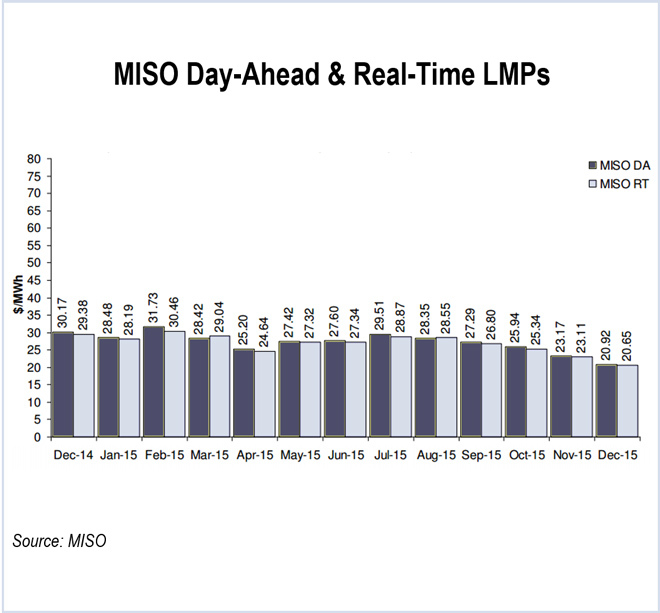 December’s average day-ahead and real-time energy prices were the lowest since MISO implemented the ancillary services market in January 2009. 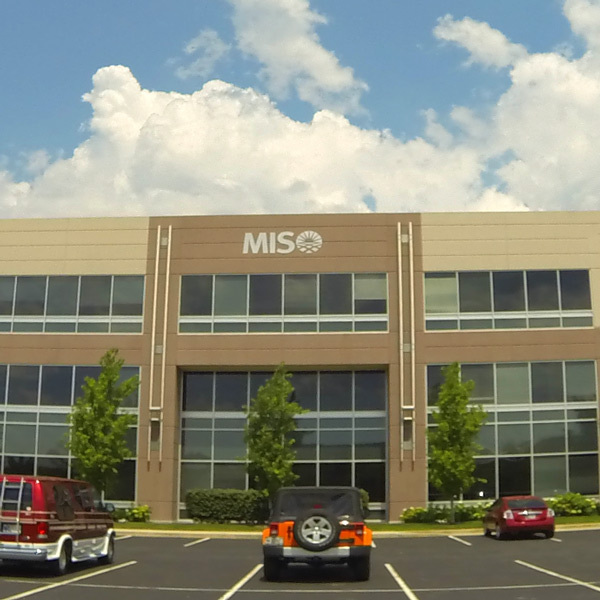 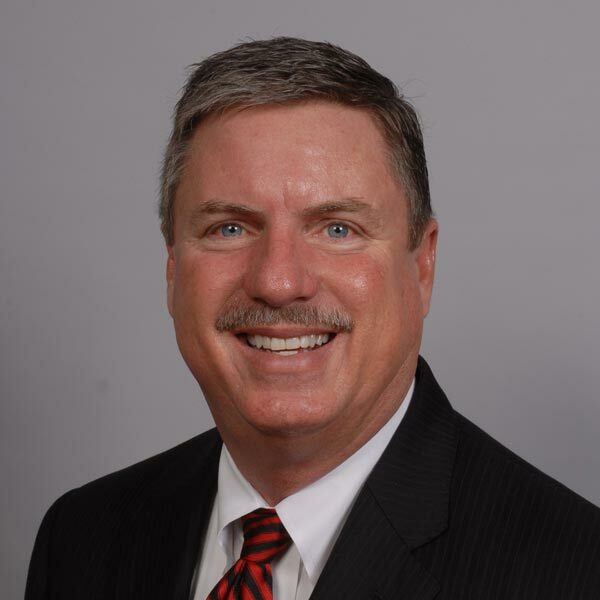 MISO revealed that it plans to increase its employee headcount and invest $30 million to update its Carmel, Ind., headquarters. 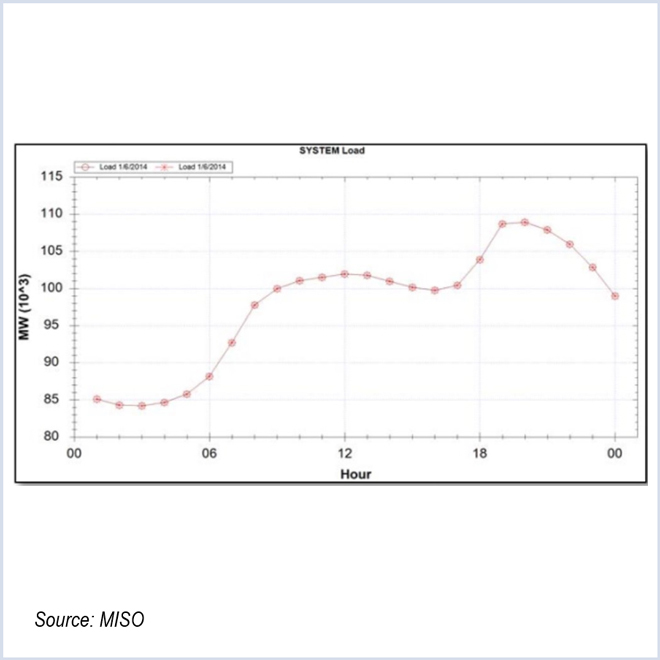 MISO Monitor David Patton reported that congestion caused by outages and under-scheduling of wind resources were causes for concern. 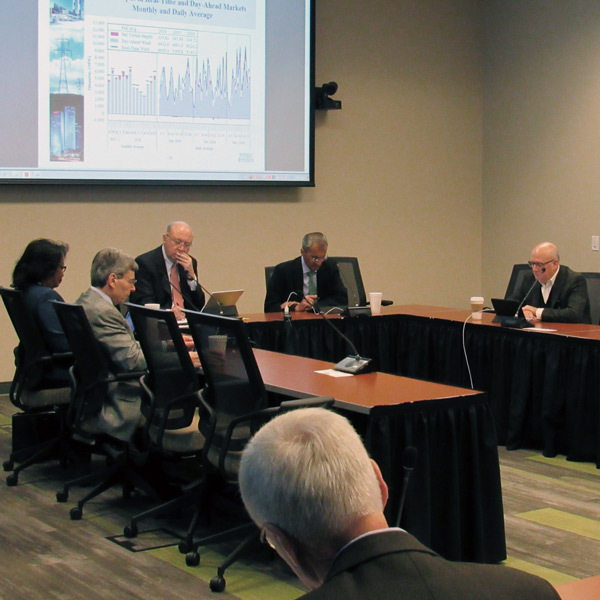 MISO is cool and collected heading into the winter, staff told the Markets Committee of the Board of Directors. 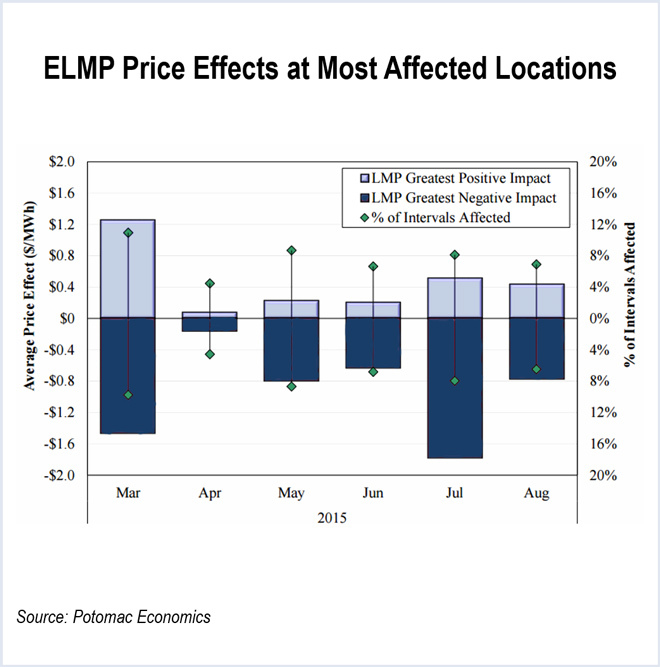 The Markets Committee met at Potomac Economics headquarters to review the Market Monitor’s quarterly metrics report.